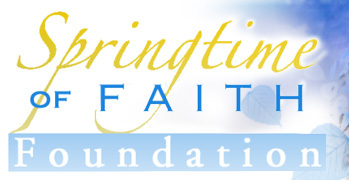 CPLC Executive Director Karen Garnett has been honored with an invitation to attend the 2011 Springtime of Faith Foundation Rome Summit – a select conference for 30 to 40 international Catholic and Christian leaders to help bring about the new evangelization. (or hit reply to this email) by noon this Friday, November 4. Your intentions will be kept confidential. Join us in celebration of the hearts converted and lives saved (23 so far!) during the 40 Days for Life-Dallas campaign. The Victory Celebration will feature inspirational speakers: Bishop Mark Seitz, former abortion provider Carol Everett and Katharine Hill with LifeTalk, plus a special musical performance by world-renowned composer and pianist Eric Genuis. Admission is free. 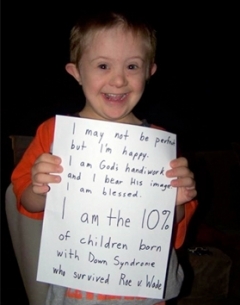 It relates the testimony of Marie Ideson who was coerced by doctors into having an abortion for her 16 week old baby with Down’s Syndrome, a decision she now bitterly regrets. The incident led eventually not just to ongoing unresolved grief but also to the destruction of her marriage. . . .
"We don’t know what God is doing behind the scenes. We must trust, we must pray — and we must know that our witness on the sidewalk is always part of a larger picture." Here’s a story that shows what I mean. . . . A vigil participant was noticing that nearly all the cars in the abortion center parking lot were parked in the staff area — very few were in the area reserved for those with appointments. And that was good. The volunteer was soon deep in prayer when the abortionist drove up — with his wife and their teenager. He got out of the car and headed toward the building while the wife and teen drove away. Read inspirational experiences at the 40 Days for Life-Dallas vigil here. A former employee of Planned Parenthood Gulf Coast has filed a whistleblower’s complaint with both the Texas and United States Attorneys General alleging her management engaged in massive Medicaid fraud.